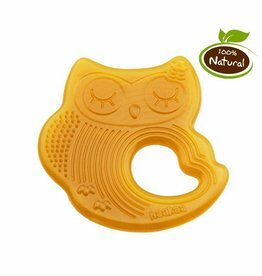 This teether features all-natural rubber body is ideal for gnawing babies. 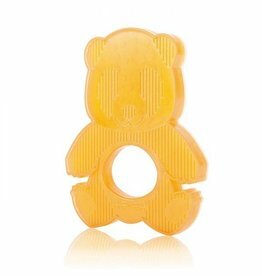 It provides oral stimulation and soothes irritated gums as your childs first teeth come in. 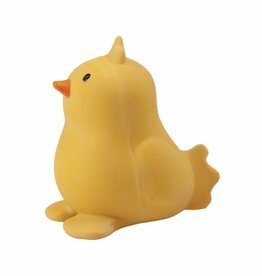 Destined to become a favorite plaything, this teether is designed with hard and soft areas that are easily gripped by little hands, and features a friendly character from My First Tikiri Safari Collection.